Recently a Thai reader asked me where she could take instagram photos of traditional breakfasts of kaya toast and coffee in old-school coffeeshops. Many old-timer-foodies are against technology but I say, if instagram can help publicize a worthy old coffeeshop, bring it on. I have very specific aims when drafting this entry: The kaya toast stall must be in a kopitiam (coffeeshop), not a hawker centre, because kopitiams are instagrammable. Preferably, the kopitiam is old and dank and marbled and mosaic. And since I value good food and since this is not an instagram account that only poses pretty food but not give any constructive criticism 😛😜😝, I’ll comment on the quality and taste of the kaya toast and coffee. CMC is the classic hipster hangout with its marble tables, wooden bistro chairs, and mosaic tiles. It’s made even more hipster because it isn’t trying to be hipster; it has been around for 60 years. We saw a hipster using a magnificent DSLR with a furry mike on a tripod, filming himself eat and commenting. There is sometimes a queue. When it’s your turn, grab or share a table, order at the counter, and get a number. When the food is ready, they will call your number. At the counter, the grumpy granny herself is an icon, and part of the experience, but when we were there, she was very nice to me. Maybe chubby boys remind her of her grandsons. I love being fat. The toasts ($1) come in buns made in-house, not the usual thin slices. Unfortunately, they didn’t spread enough kaya, and the toasts are bland. The custard bun ($1) and cupcakes ($1) are no good too; dry. They also serve eggs ($0.90) and coffee ($1-$1.50). The food is not great. It takes some fortitude to enter Heap Seng Leong, a 1950s coffeeshop, because there is a heavy musky odor. Even kampong boy Mr Fitness from Malaysia complained about the hygiene. They are famous for their bulletproof coffee. Although bulletproof coffee is a newish thing in the West, we have been doing it for decades and we called it kopi gu you, coffee with butter. The coffee here is extremely strong that I could only finish 3 quarters of a cup, feeling a strong buzz. They have a curry puff stall here, with rather good puffs at $1 each. The eggs took some time to come, and they were slightly overdone, the yolks were no longer molten. The toast is pretty awesome, crispy and fluffy. Paid $5.90 for two persons. The 40 year-old coffeeshop looks exactly like coffeeshops in Ipoh. It is served by an old couple. When I was there at 3pm in the afternoon, the coffeeshop gradually became packed with elderly people chatting and drinking coffee. They price their food reasonably (paid $2.70). And their coffee is wonderful, mellow with a chocolate accent. This coffeeshop is probably the best on the list. Great atmosphere, better-than-average food and beverage, and a friendly grandma. This 70 year-old family-run kopitiam uses homemade Hainanese kaya. If you buy a jar of it, finish it quickly because it contains no preservatives. But that shouldn’t be a problem because it is very delicious, sweeter than the usual kaya. I like it quite a bit because the rich taste of kaya comes through the bread; other stalls usually don’t apply enough kaya or the kaya isn’t strong enough. A set of coffee, toast, and eggs is at $3.20. They have other stalls here selling cze char and Malay food. Seng Hong Coffeeshop was full house on a Monday 10.30am when I was there. Executives in their shirts and pants were breaking fast–wait, didn’t they have to work? These are sales people, right? There is also a popular noodle shop here. 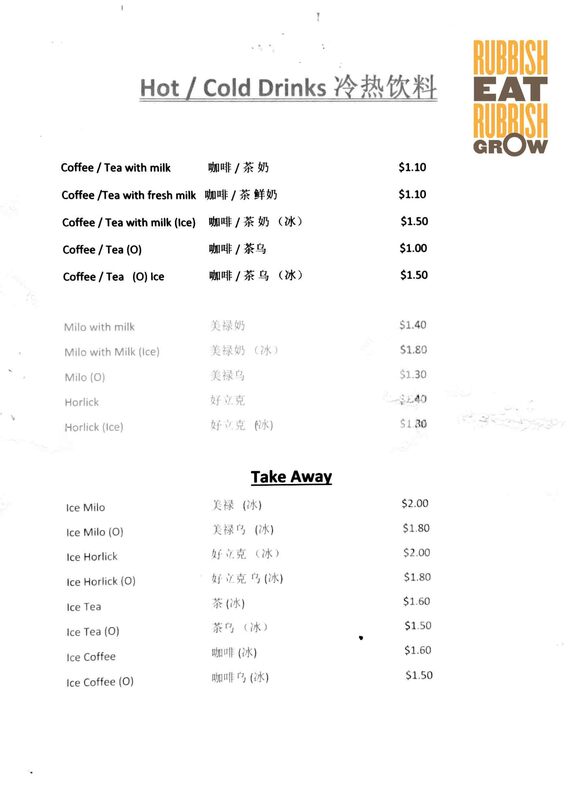 The 40 year-old coffeeshop was set up by the third son of Tong Ah (which is next on this list). Like Tong Ah, there are steamed bread or toasts. In peanut butter or kaya. Their toasts are so-so (too little spread). For their eggs, they use a saltier version of dark soya sauce. Some dark soya sauces have a tinge of sweetness, but this one doesn’t and is saltier than usual, closer to soya sauce than dark soya sauce. But their coffee is the quintessential cuppa, fragrant, easy-to-drink, not bitter, very strong; gave me a good buzz for hours. They use a 70 year-old pot to boil water, but how would that make any difference to water? The iconic building, which used to house Tong Ah and still bears its name, is now occupied by Potato Head Folk. (Damn megacorporations!) The 75 year-old Tong Ah has moved further down the street. 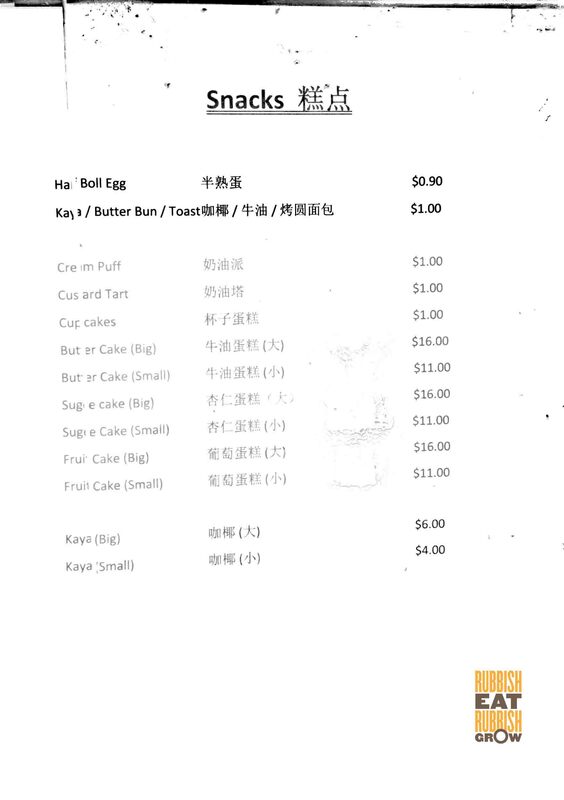 The have set menu (2 eggs + a choice of toast + coffee/tea) for about $5, which is the most expensive for all 7 shops here, almost twice as expensive as the cheapest shop. 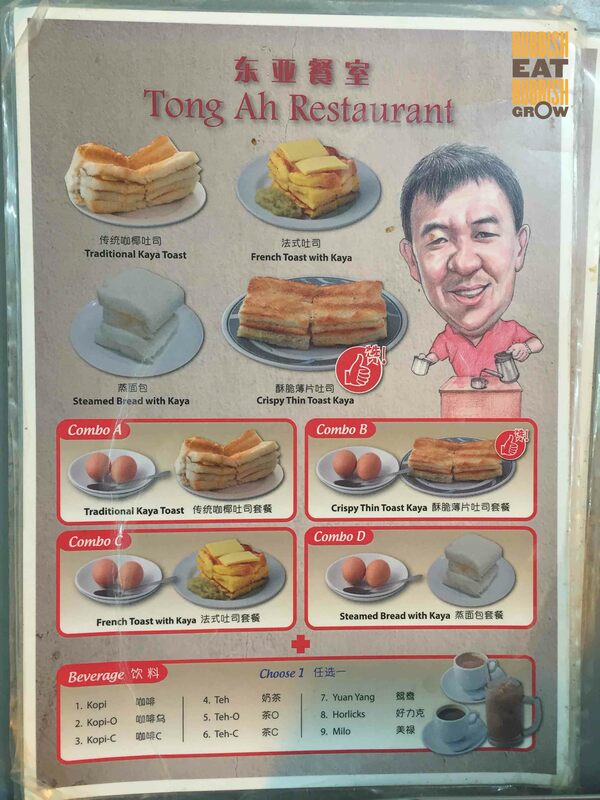 Tong Ah offers 4 types of toasts: usual, crispy thin, French toast, and steamed bread. Their kaya is said to be cooked over a low fire for 10 hours. The buns are baked in-house. Fluffy and nicely toasted at the edges to give a contrasting texture, but what I love most is the kaya. It’s redolent with coconut, robust, and the flavor comes through the bread. Their ordinary coffee is bitter and watery. And for eggs, they use a dark soya sauce that is slightly sweet, the type I like. They also sell chicken rice here. Paid $3.60. Best Coffee: Actually all the coffees are excellent except for YY’s. YY’s coffee is run of the mill, not terrible. But if I have to choose one, I’d choose Seng Hong for its potency and balance. Best Overall: Hup Lee. Some places may have better toast, some places may have better coffee, but as a whole, Hup Lee leaves an indelible experience.